Chain Letters is a game similar to Barrel of Monkeys that's played with a number of letter tokens. Each token has hooks that can be used to link them to the other tokens. The letters are placed in a pile on the table. 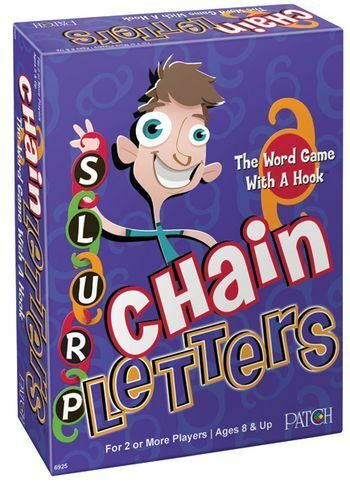 The players simultaneously attempt to create words by making chains of the letters, without dropping the chain or linking a letter upside down. The pile cannot be shuffled, so the words have to be made using the letters that are visible. The game continues until no more words can be made; the player who has collected the most letters wins.